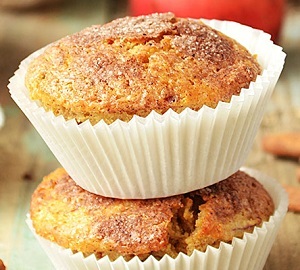 Delicious, moist and fluffy gluten free apple muffins made with almond flour. 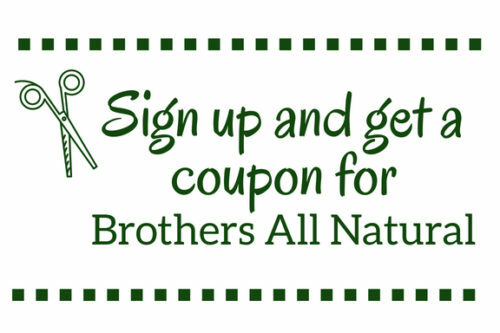 The natural sweetness of the Apple Fruit Crisps and almonds allow this recipe it to be completely free of added sugars. An incredibly moist, fluffy, and simply delicious gluten free apple muffin made with almond flour. 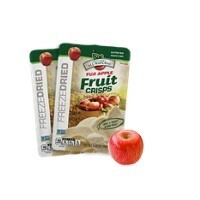 The natural sweetness from the almonds and the Fruit Crisps allow for it to be completely free of added sugars as well. In a medium bowl, mix together the almond flour, baking powder, baking soda, salt, cinnamon and allspice. Add the eggs, vanilla, applesauce, water, Freeze Dried Fuji Apples and honey (if desired). 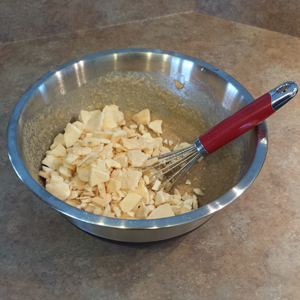 Mix thoroughly until eggs are fully incorporated. Line 24 muffin spots with liners (aluminum foil liners work best). Using an ice cream scoop or a tablespoon, fill the liners 3/4 of the way up the sides. Bake for about 20-25 minutes or until the tops of the muffins start to turn golden. Remove from oven and let cool. 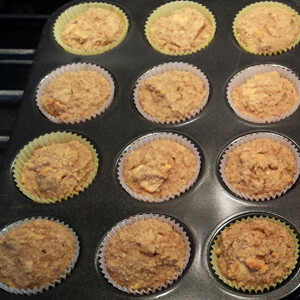 The muffins are easier to remove from the liners once completely cooled.